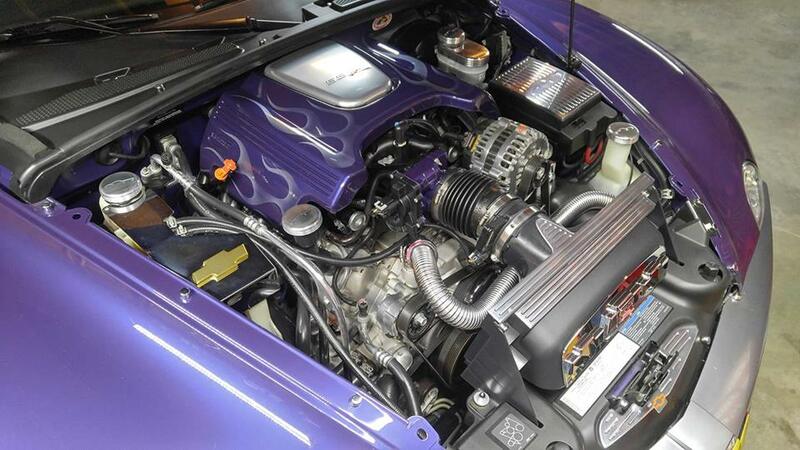 Chevy SSR Forum > Clubs, Events & Regional Discussion > Great Lakes > New UV in North Columbus? New UV in North Columbus? A few days ago, one of my coworkers saw a UV SSR on the side of 270 between Dublin and Grove City. She thought it was mine, but mine is still in the garage. Then yesterday, I saw one matching her description in Lewis Center. It has brushed wheels, so it isn't VP, and it has silver pinstripes on the sides, so it's not mine or Celeste's. Does anyone know who might be driving it? You need to be leaving cards on those you do not know. If they are Fanatics they will understand and if not they will probably appreciate knowing about us. Some will not, but they are few and far between from my experience. My U.V. still in the garage...trying to get engine picture..lol. 04 PurpleHaze and sillypuddy like this. My sister has 04 U.V.. up there in Ohio, maybe see her running in Canton and Alliance area. Hers has no silver stripe and now has chrome wheels and I'm not sure she has it out yet. She is a member on forum but usually uses facebook.